Yorkshire Puddings ! a badge of pride to honour our ancestors, it must be one of the most posted food picks ever and just to show they have risen. 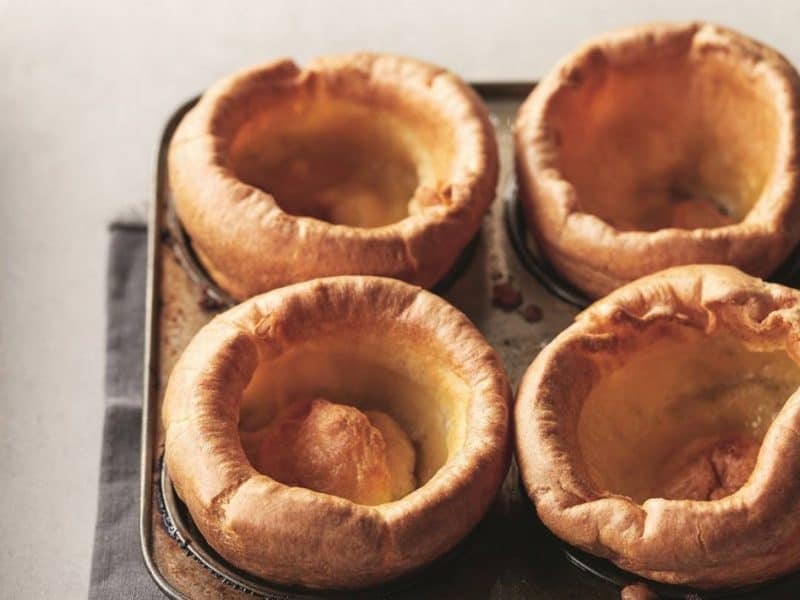 It is a right of passage into adulthood, the ability to make a Yorkshire pudding as good as ya ma’s, a monumental moment the same as your first kiss, your first beer, your first everything. The rise of a pudding. Don’t laugh some people do take it that serious. Well it hasn’t always been that way with a Yorkshire pudding it was saved strictly for Sunday Roasts’s and in particular roast beef. Now it seems its acceptable to have Yorkshire puddings with anything. Is it because our standards are slipping in food etiquette? Or simply people want a more diversified approach to food. The next burning question is do you make your own or shop bought. I can hear screams across kitchens now “OMG SHOP BOUGHT” Grandma would be disappointed, but what if they do not rise what would you tell your guest? This Is the first time they haven’t risen, Honestly! After all its just flour eggs and milk, oh and the type of fat you cook them in. What could possibly go wrong. Do you add salt and pepper to the mixture. I must confess that my wife makes the better Yorkshire puddings in our house but I do 99% of all the cooking. What always gets me is I have that imagine in my head that the batter has to be of course quite thick so it rise in the oven and stay there. 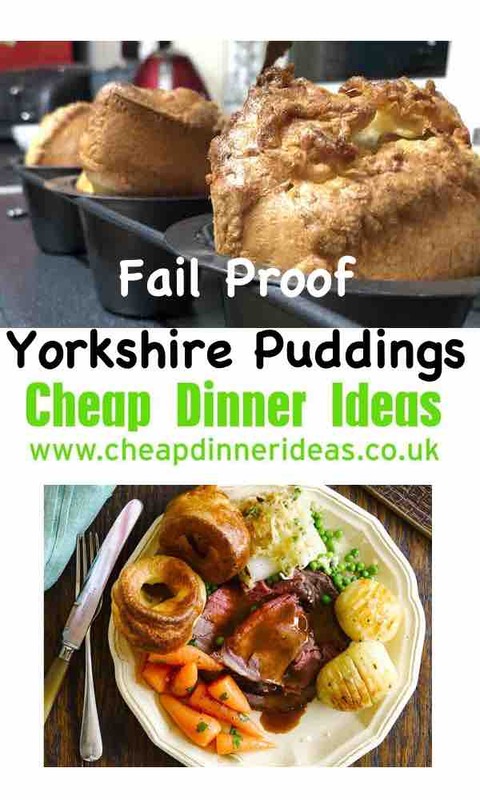 If you google Yorkshire pudding recipe and use the word good housekeeping as well you will notice that they have several recipes on there. I mean the good housekeeping is a national treasure and surely can’t get it wrong or perhaps its a little more complicated than first thought. I will share 2 of their recipes. Heat oven to 200 C to 230 (experiment to see what gives the best result for your oven) When I use my mothers oven I have it lower than my old cooker. This is their fool proof method. Yorkshire Pudding’s aren’t difficult to make and you can’t go wrong with this recipe. 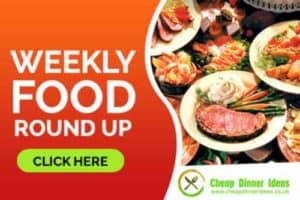 Ingredients 175 (6oz) plain flour 2 medium eggs, beaten 300 (1/2 pint) milk Beef fat from the roasting tin, spooned off and reserved Method Sieve the flour into a mixing bowl. Add a pinch of salt and make a well in the centre then pour in the beaten egg, milk and 75ml (3fl oz) cold water. Cook this simple Yorkshire pudding recipe straight away or make ahead. Ingredients Sunflower or vegetable oil, to cook 125 (4oz) plain flour 3 medium eggs 175 (6fl oz) semi-skimmed milk Method Preheat oven to 220°C (200°C fan) mark 7. Pour oil into a deep 12-hole muffin tin, filling each hole to about 1cm (½in). While 30% of us still make our own every time, 35% happily buy ready-made, and a further 35% will do both, depending on the occasion. Now surely these have to be good they come from Gordon Ramsey or will his wife Tanya’s be better ? 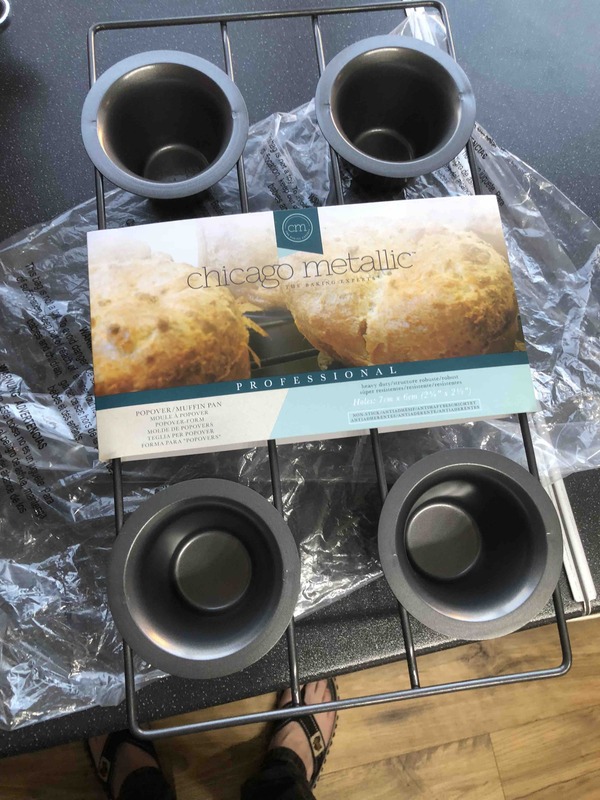 To make 14–16 smaller Yorkshire puddings, put 1 teaspoon of vegetable oil into each hole of a deep muffin tin (each cup measuring about 7cm diameter x 2.5cm deep), then heat up as described in step 2, before pouring in the batter. Bake the Yorkshires for 12–15 minutes. Yes times have changed and it is now expectable to have it with any roast meat, a very old school friend had them for breakfast with jam on and he still does today. At the time 30 or so years ago I refused when his mum offered me one (yes I was horrified) but I just might give it a go with jam and see if I can tempt my kids as well. It has to be cheaper than branded cereals. 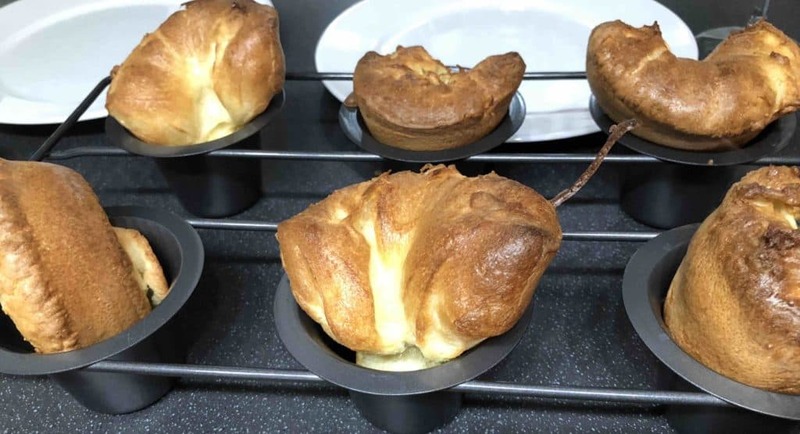 Got my hands on my new professional Yorkshire pudding tray, happy with the results so far. (see above) I will be adding more mixture to see if I can get the Yorkshires to rise even further. Would you use a silicone Yorkshire pudding tray ? So what is the favourite way to serve you Yorkshire puddings. Wait there is one more important factor to consider. 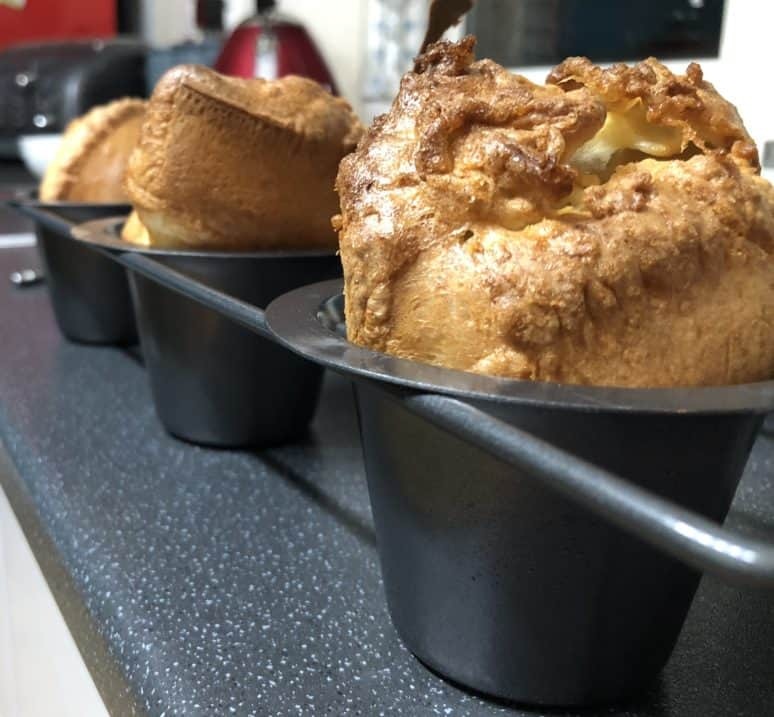 What type of Yorkshire pudding tin do you use for the best rise ? Your grandmas old tray that hasn’t been washed in 50 years, non stick, a professional one which is slightly deeper and narrower than the regular domestic Yorkshire pudding tray. Please do share your secrets with us all. Can you make Yorkshire Puddings with duck eggs ? Yes and egg is an egg, with duck eggs in Yorkshire puddings you have to adjust the quantity of flour to egg ratio. As the duck eggs are so much larger you will need to add extra flour. The ideal consistency of the batter needs to be thick before adding milk. So thick in fact that it becomes difficult to whisk by hand. When adding the milk the batter then needs to be transformed into a light airy batter, when lifting the whisk the batter should be dripping off the whisk just thicker than water. To be honest my first attempt at making Yorkshire puddings with duck eggs was not perfect. The cooked batter was much more dense. It actually looked the consistency of bread. They still tasted delicious but next time I am going to make the batter even thinner. How have your duck egg Yorkshire puddings turned out. If you have any tips please share them with our readers. Now we have gone a little posh with our Yorkshire puddings it’s time to up the style guide with an array of different fillings. As mentioned earlier you can fill the puddings with jam. Now for the uneducated the first time you ever saw a Dutch Baby you would immediately think its a Yorkshire pudding. The recipe is virtually identical except they add some butter to their mixture. However there is another version and this is a sweeter version of the Dutch Baby as they also add sugar to the mixture. 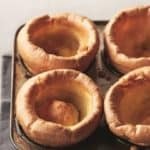 The arguments are rife and of course the English claim it as their very own Yorkshire pudding copycat recipe pinched by the Americans, The Americans insist its nothing like a Yorkshire pudding as they fill theirs with sweet and savoury fillings. Wait isn’t jam filled puddings sweet? I will stop there and not get dragged into a nation debate on pudding origins.